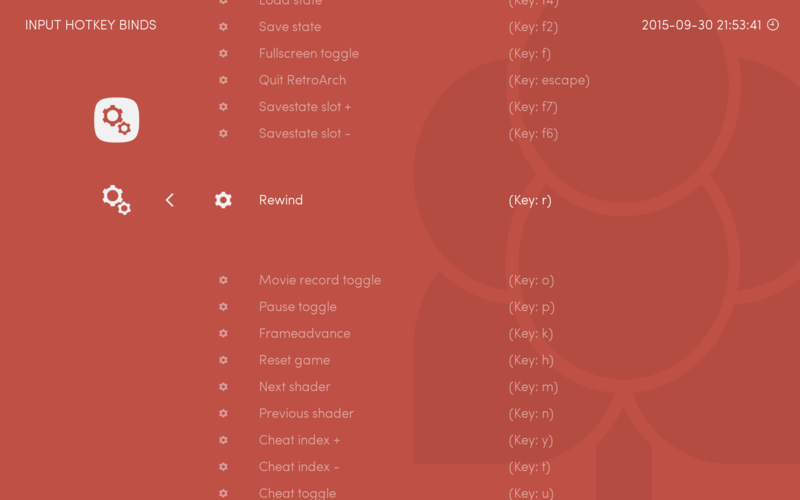 RetroArch will allow you to rewind your game in real time. Rewinding depends on savestates, so it will not work on libretro cores that doesn’t support savestates, as NXEngine. To enable rewinding, go to Settings->Rewind, and set it to ON. Note that rewinding will affect performance. That’s why it is disabled by default in Lakka. If you really want to use it, you can change the granularity.